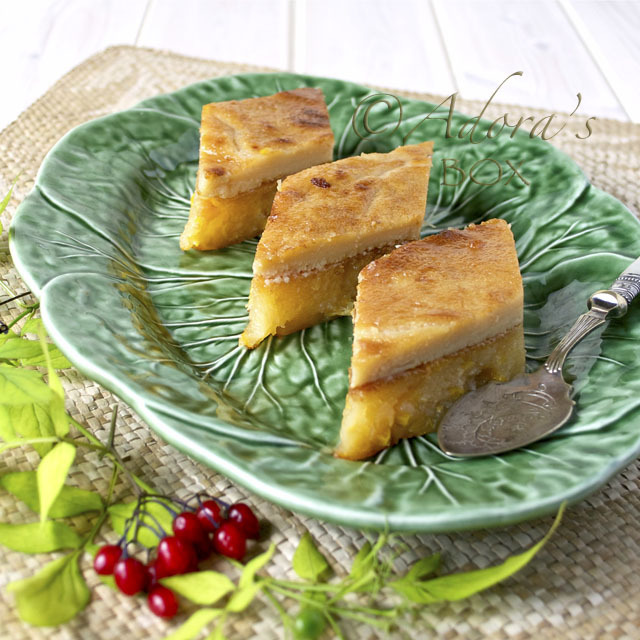 For Chinese new year, cakes symbolize a rich and sweet life and layers signify rising abundance. Hence, this cake is the perfect offering at the beginning of the year. 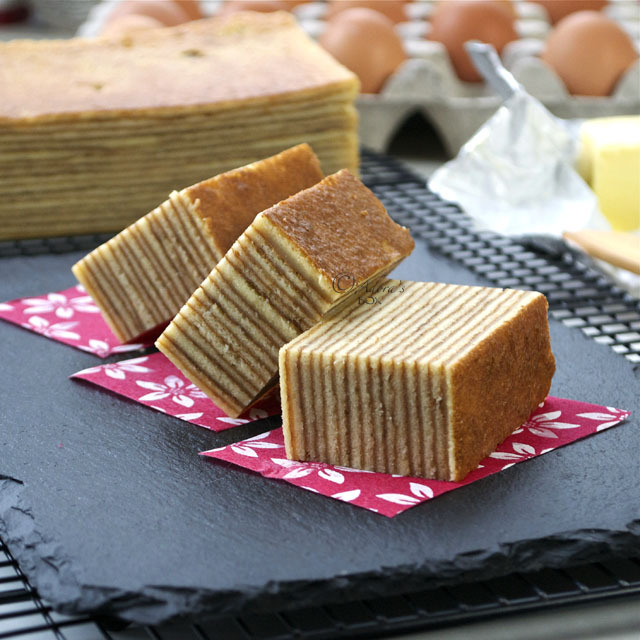 Kueh lapis legit is an Indonesian layer cake that takes after the Dutch spekkoek. 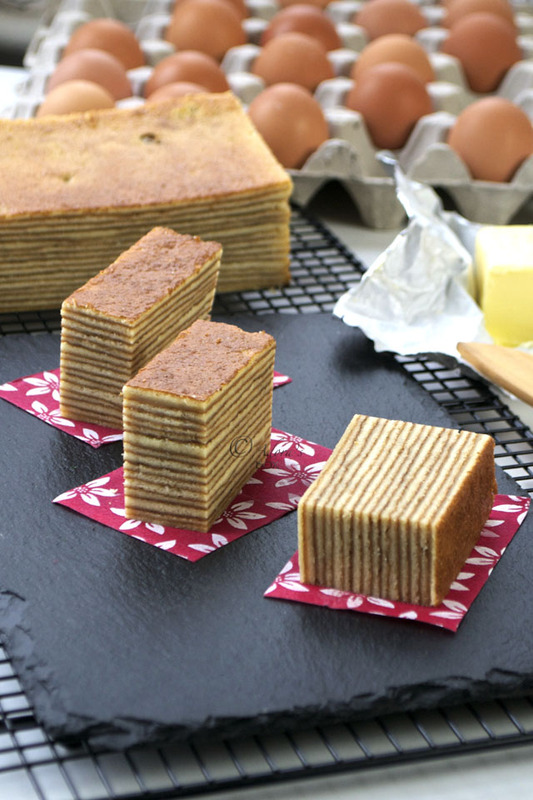 This cake is grilled layer by layer to produce the striped effect. It is popular during celebrations in Indonesia, Malaysia and Singapore. I fell in love with this delicacy the first time I tried it. Although it is traditionally flavoured with spices, the first one I tried was plain but was so delicious because the richness of the butter and egg yolks was unadulterated by anything else. I did not add spice to my cake mix but added a teaspoon of vanilla instead to recreate that cake. In the pre-blogging days, I found it difficult to find a good recipe for this cake. I have tried several through the years but was not satisfied until now. This kueh lapis legit recipe from The Baking Biatch is a keeper. First of all, the ingredients were all simple and the amounts were very reasonable. When I tried it, the steps were pretty straightforward and easy. All it takes is time and patience really. This is the time to bring out the OCD in you. When the cake is done, you'll realize that it is all worth the effort. All the butter and egg yolks would have worked their magic on the cake. It is not just the ingredients that give the cake flavour. It is also the grilling process that gives it alternating layers of rich cake and toasty brown crust. This recipe produced the kueh lapis of my dreams: moist, rich but not cloying, ultra delicious, buttery with a hint of rum. It is served in thin slices and the fun way of eating it is to peel off each layer and savour them individually. Merely eating it makes life so sweet. Adapted from the kueh lapis legit recipe from The Baking Biatch. Pre-heat the oven to 390° F/200° C.
Line a 25 cm. 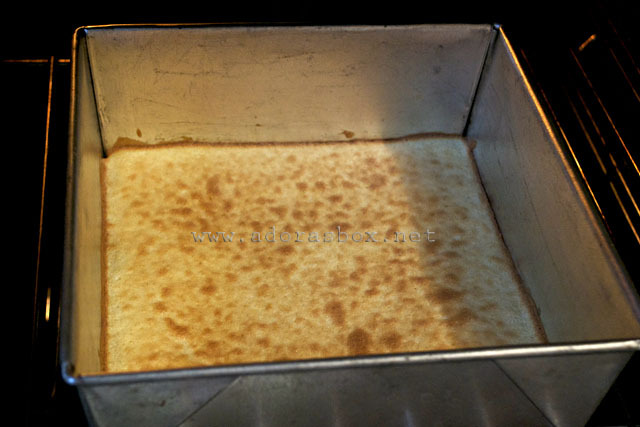 square tin with baking parchment. I don't have one in this size so I used a 20 cm. square tin instead. I had a little bit extra batter left which I cooked in another small pan. Cream the butter until light and fluffy. Add the condensed milk gradually while mixing. Add the rum and vanilla and mix again. Mix the flour and gingerbread spice (if using) together. Sift over the butter mixture and blend together. Whisk the egg yolks and 1 c. of sugar together until thick and light in colour. 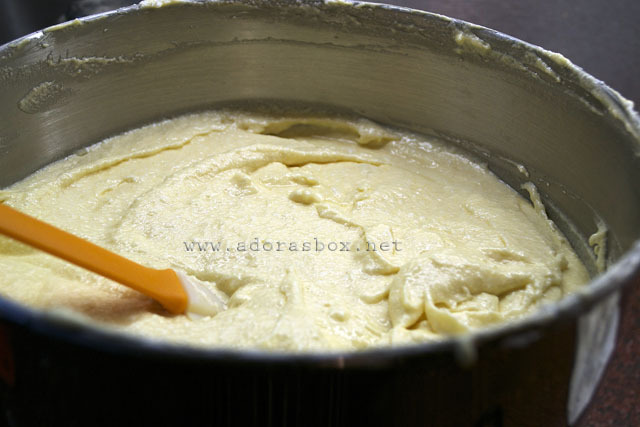 With the mixer running, add in the egg yolk and sugar mixture to the butter and condensed milk mixture until well combined. In a clean mixing bowl, whisk the egg whites until frothy. Add the 1/4 c. sugar and cream of tartar. Whisk until stiff but not dry. Add the egg whites to the batter 1/3 at a time, folding after each addition. Pour 100 gms. of batter into your prepared pan, spread with a spatula and bake in the middle of the oven for 3-5 minutes until the top is nicely browned. After the first layer is baked, the subsequent ones are grilled. Switch the oven to grill. Although a higher temperature was recommended, I found that I only needed the same temperature for my grill. Every oven behaves differently so adjust yours accordingly. The layers shouldn't cook too fast as the batter might still be uncooked inside, too slow and the cake becomes dry. Each layer has to have a uniform amount of batter to achieve even layers. If you are using the 25 cm. tin, the recipe suggests weighing 100 gms. of the batter for each layer. I measured 1/2 c. of batter for each layer for my 20 cm. tin (about 3/4 c. for the 25 cm tin if you prefer to measure rather than weigh the batter). Pour your second layer and grill. Each layer has to be fully cooked before another layer is poured on it. Timing is important to end up with a moist layer with nicely browned crust. You should see the batter cooking: the surface dries and firms as it cooks before it slowly browns. The colour of the crust should be medium brown. It takes about 3 1/2 minutes for each layer to cook. After grilling, you need to press each layer to make it completely flat. I used a fondant smoother but a cake slice would also do. Repeat the process (pour batter, grill, press) until you've used up all the batter. As you build up the layers, you might need to decrease the temperature of the grill or lower the oven shelf so that the cake doesn't cook too fast. When done, invert the tin onto a cooling rack. Let the cake cool in the tin. When cooled, unmold, peel off the paper and slice. Store in an air tight container. GONG XI FA CAI to you and to your family. 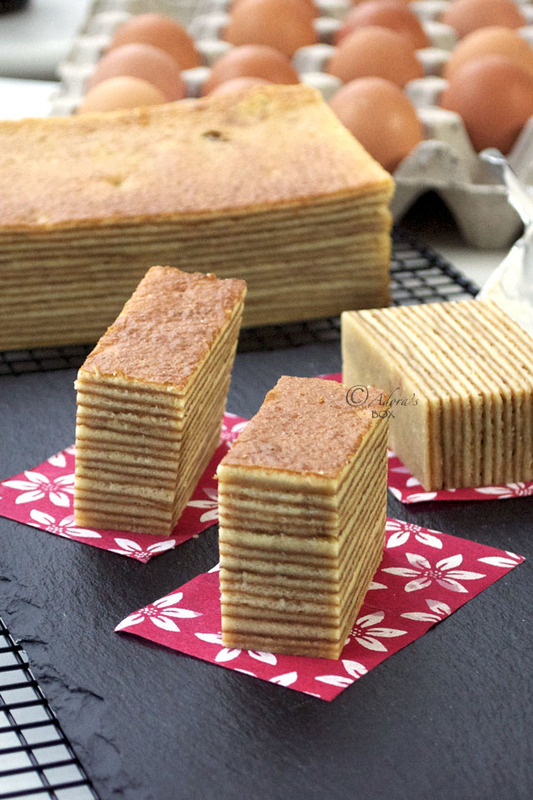 Your kueh lapis is so beautiful and so evenly layered. 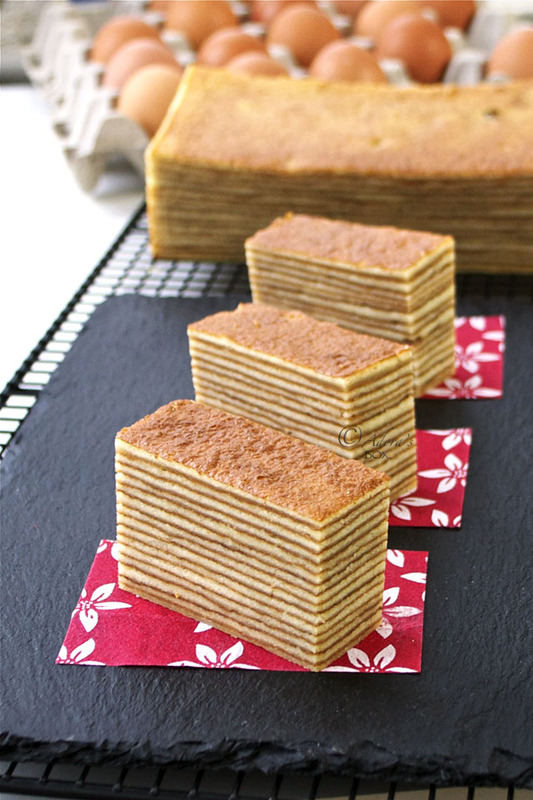 I wanted to bake this too for this CNY but too much things to do and moreover this kek lapis takes alot of my time. Somehow or rather the amount of egg yolks require really did scary enough, right? But once you had one in, there is no turning back to ask for another. I remember many years ago a friend bought one from Medan Indonesia and cost about RM35. It might have price increased by now. And here Msia one small slice can cost to RM 10. Happy new year to you and your family, Mel! My son says it's not cny without kueh lapis. The amount of eggs here is actually reasonable compared to some that requires about a million. I didn't realize that it is so expensive. It might be a good idea to sell this. It is easy to get hooked on this cake, right? 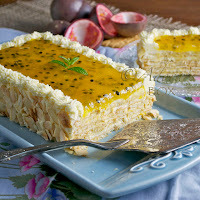 I've never heard of this cake but it looks so lovely and delicious. Love all those layers! Indeed delicious, Ruby. It's all the egg yolks and butter that makes it taste good. that cake looks absolutely amazing. Beautiful! Do try this one. It takes time to make it but is actually easy. Thank you so much for this recipe, Cynthia. It is the best I've ever tried. It is simple yet so delicious. This cake truly looks perfect, Adora! 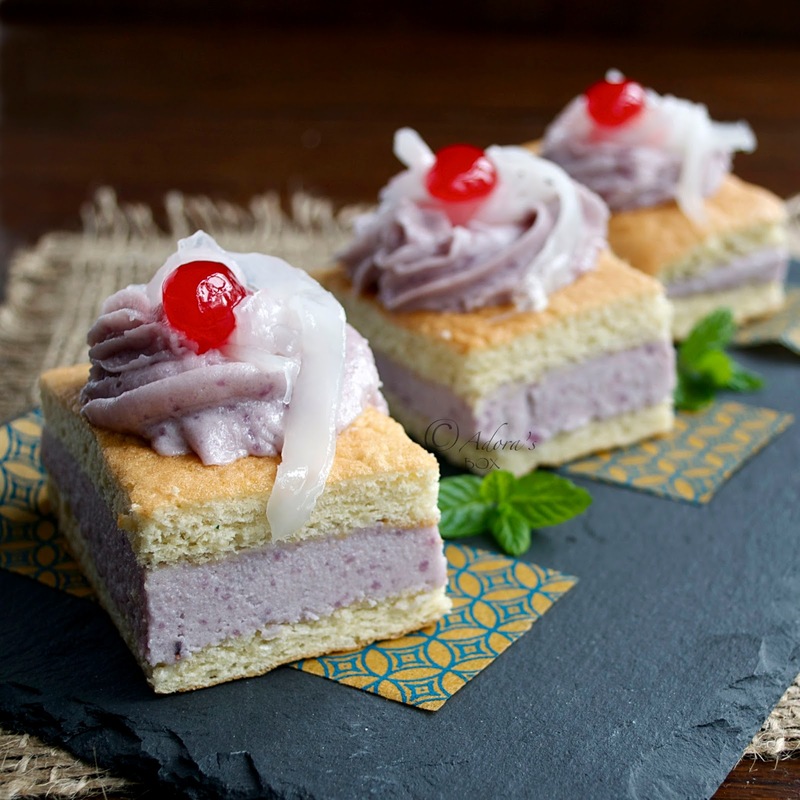 Love the layers and your mouthwatering pictures! Well done and have a wonderful mid week! Hi Sandra! Thanks for dropping by. Have a nice weekend. Wow Adora! Your lapis layers are so uniform! Did you do a copy-and-paste in photoshop? Haha! Kueh Lapis is one of my favourite cakes but I find it too time consuming to make... may I know how long did you take? Hi Alvin! This recipe is actually simple and easy to make. It takes a bit of time at first but once you get the hang of it, it is quite quick. It took me about two hours to do this, not bad. Why didn't I think of that trick? I could have made a plain sponge and drew lines on it. Haha! I set the temperature at 390° F/200° C. You might have to adjust the heat or the height of your oven shelf to cook and brown each layer. 1 c. is equivalent to 250 mls. 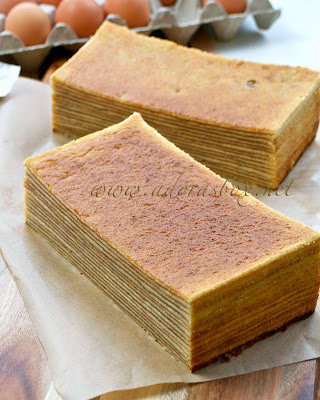 This is Kek Lapis not Kueh Lapis. Kueh Lapis is steamed, not baked.